Lock Family Eye Care's optometrist in West Des Moines can help you find the right frames for your lifestyle. If you lead an active lifestyle your frame requirements will differ from those of someone with a less active daily routine. The helpful staff at Lock Family Eye Care will work with you to ensure that the frames you get are the right ones. 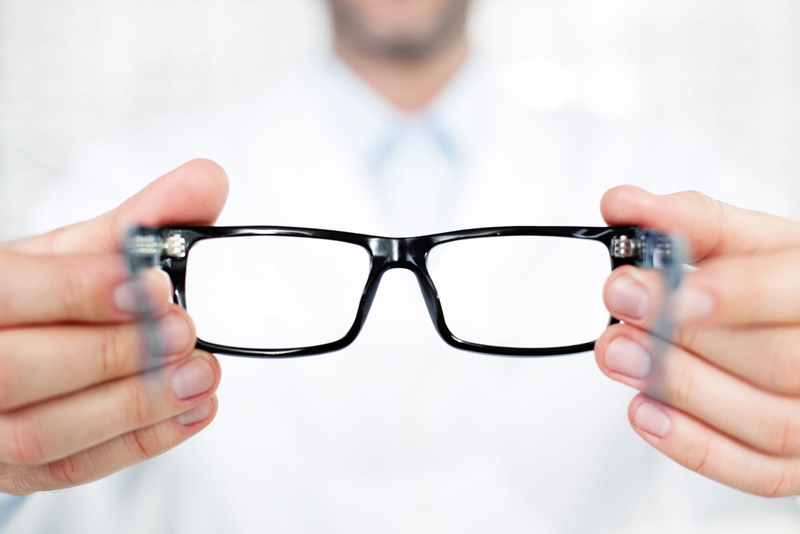 Let our optician work with you to determine which frames work best for you! The Right Frames for Your Face Shape - Our Optician Can Help! The most important consideration when selecting your eyeglass frames is their compatibility with your corrective lenses. For example, if your lenses are heavy you will require a sturdy frame that can support their weight. The right frames will work with your lenses, be comfortable, suit your lifestyle, and flatter your face. Face shape plays a big role in frame selection as different shaped frames will be more comfortable and more flattering on certain face shapes. The most common face shapes are round, oval, heart-shaped, and square, each with certain styles that are the most suitable. Our optician is well-versed in the aspects of face shapes and the right frames that will suit you the best. They are here to help you find frames that you want that also work great for you! A comprehensive approach to choosing the right frames will include measuring your face width and length and determine which shape is most applicable. Some people do not have a dominant shape and our optician can help direct you to the right options in such cases. Round faces usually look best with highly defined frames such as cat eyes or square as these add angularity to their face and highlight their cheekbones. Most all frame shapes look great on people who are lucky enough to have an oval-shaped face. And heart-shaped faces should look for frames that broaden the chin and the lower part of the face such as classic cat eyes or frames with a wavy brow. Square shaped folks typically look great sporting frames that are round or curvy that soften the angular appearance of their square face. If you want to refresh and update your current frames, we offer a full inventory of today's popular styles from your favorite designers. Give us a call today at (515) 267-1312 to schedule a consultation with our helpful optometrist. We are conveniently located at 101 Jordan Creek Parkway in West Des Moines, and look forward to seeing you soon!